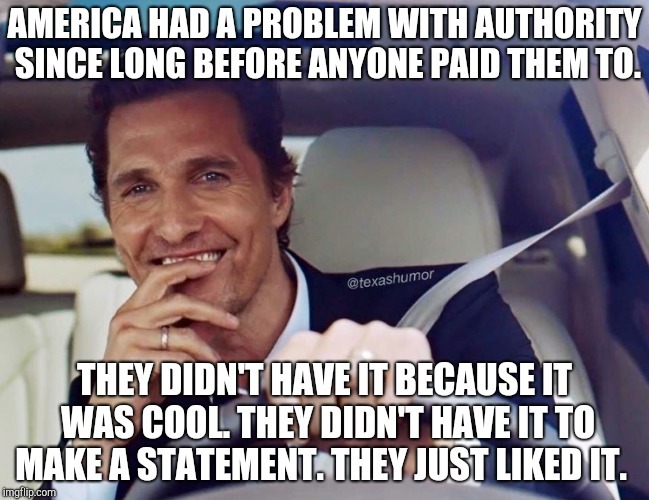 AMERICA HAD A PROBLEM WITH AUTHORITY SINCE LONG BEFORE ANYONE PAID THEM TO. THEY DIDN'T HAVE IT BECAUSE IT WAS COOL. THEY DIDN'T HAVE IT TO MAKE A STATEMENT. THEY JUST LIKED IT.